If you’re planning a nautical baby shower and need some invitation inspiration, I’ve got some free nautical baby shower invitations for you to download. These ones are for a baby boy, since they say “Ahoy! It’s a Boy.” We used them for my sister’s nautical baby shower a few years ago, and they turned out so cute! My favorite part is the little anchor next to the “Ahoy!” If you’d like to see all of the details from the shower, check out my DIY Nautical Baby Shower post. 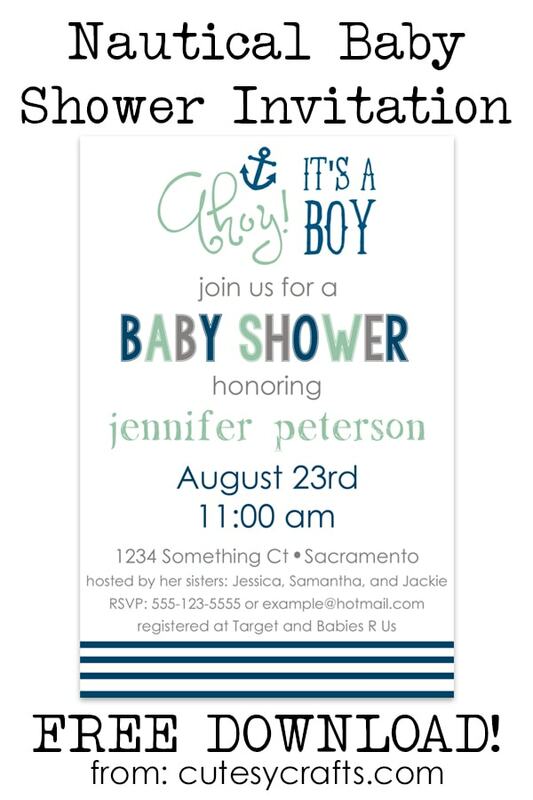 Scroll to the bottom of this post for the free nautical baby shower invitations download. I created the file in Photoshop Elements, so I have provided a .psd file format for you to edit. You will be able to change the names and other pertinent information. You will also need to download and install the free font Lemonade from dafont.com to edit it. The other font that you’ll need is Century Gothic, but I’m pretty sure that is a standard computer or Microsoft font. If not, you can just use something else. Once you have the file edited, you can get them printed as invitations, 5×7 photos or 4×6 photos. I think 4×6 photos will be the easiest and cheapest option. After you print them out, put them in envelopes, and pop them in the mail. Easy! 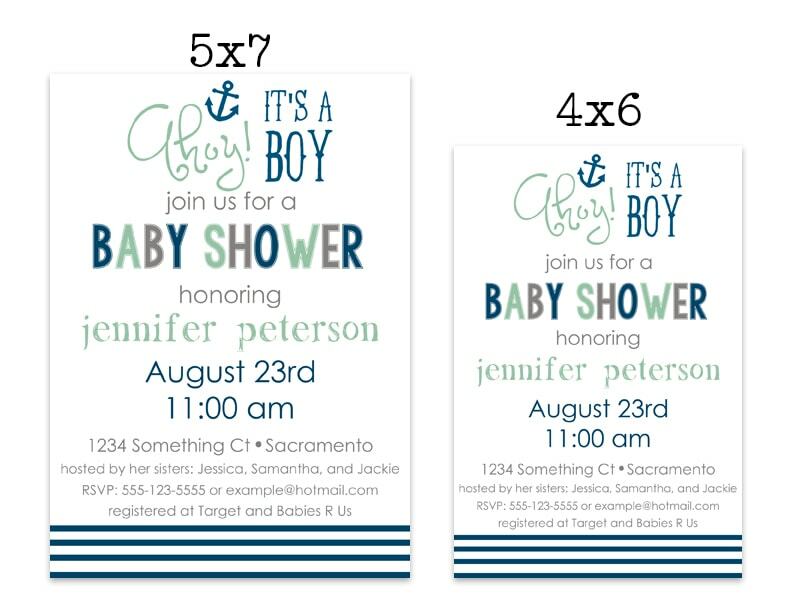 Hope you liked these free nautical baby shower invitations. If you have any trouble with the files, please let me know. I’m happy to help! Make sure to check out my other Nautical Baby Shower Ideas for more inspiration. Hope you have a wonderful baby shower! 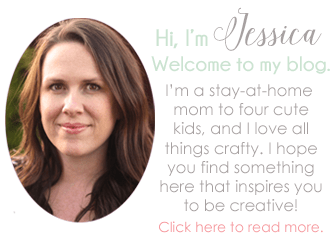 Click here to download the free invitations! The download is not opening up. Are you able to download it and just not open it, or is it not downloading at all? I only have it as a photoshop elements file (PSD). Are you able to edit that?